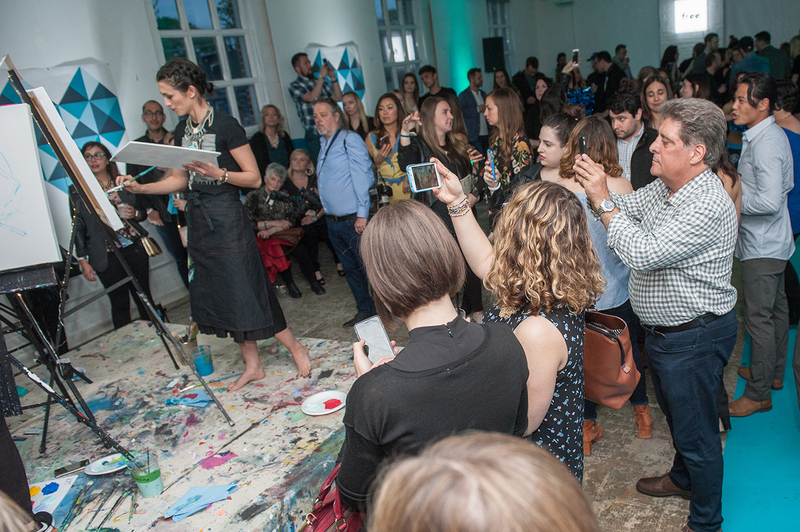 TEALPOWER | A not-for-profit organization dedicated to cervical cancer awareness and education. 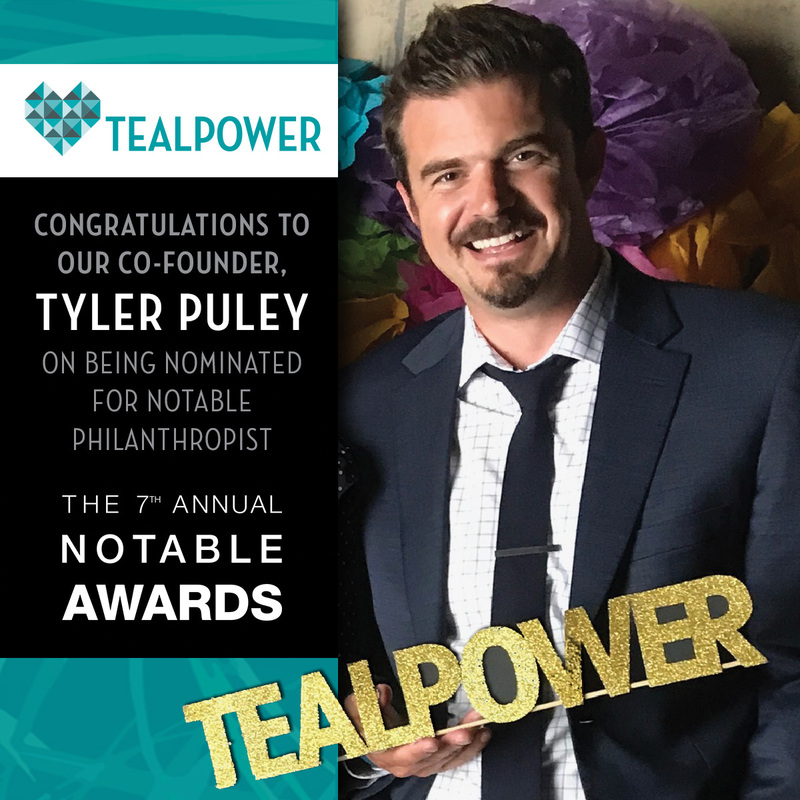 TEALPOWER is proud to announce that our co-founder, Tyler Puley, has been nominated for “Notable Philanthropist” in the 2017 Notable Life Awards. Please show your support by voting now! Voting closes Wed. Nov. 15th. 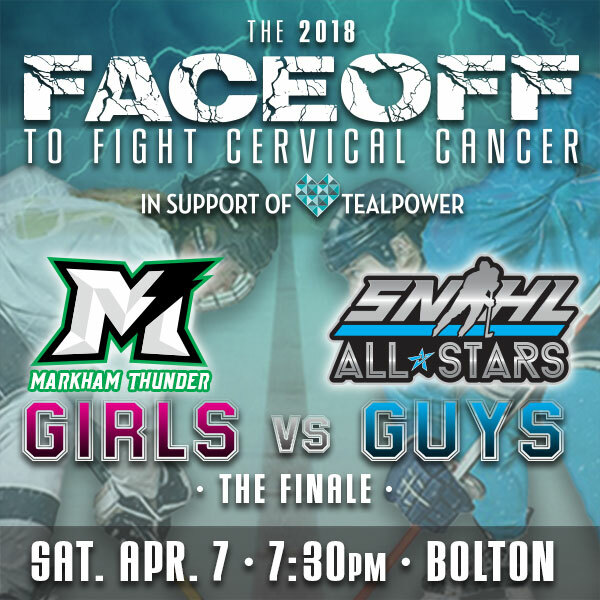 TEALPOWER is excited to announce that our friends at We Are Creative are back one last time for the Faceoff to Fight Cervical Cancer charity hockey game. Fresh off their Clarkson Cup Championship, the CWHL’s Markham Thunder return to Bolton to once again take on the SNHL All-Stars, in the finale of their 3 game series. Sponsorship opportunities available. Visit their website for full details and tickets! Details for the 2018 ‘Tealpower Presents’ fundraiser will be announced in January. Come back and visit, or sign up for our mailing list below to be the first to hear the details! 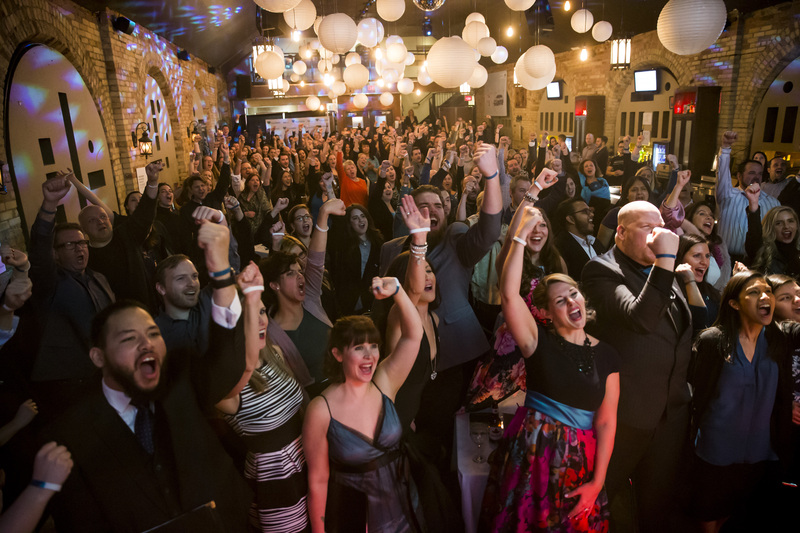 With your amazing help, Tealpower will continue to create awareness and raise critical funds to help conquer gynecological cancers in our lifetime. TEALPOWER is a not-for-profit organization dedicated to cervical cancer awareness and education. Through various events, the organization raises awareness and funds for the Princess Margaret Cancer Centre. and growing since Jan 2016! TEALPOWER Presents: From Broadway with Love  from TEALPOWER on Vimeo. By submitting my email address above, I consent to being contacted by TEALPOWER. TEALPOWER is a not-for-profit organization dedicated to cervical cancer awareness and education. Please contact us for more information about our organization, any of our events, or to volunteer. © 2018 TEALPOWER. All Rights Reserved.